Last evening, we drove along the St. John River looking for fiddleheads and were delighted to see a juvenile Bald Eagle (Haliaeetus leucocephalus). 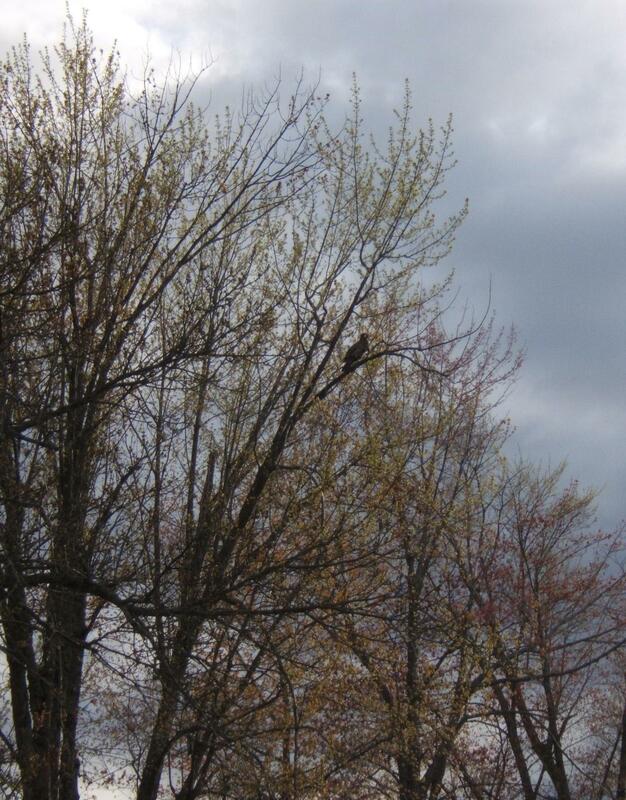 He was sitting on the dead branch of a Silver Maple, just above the highway. He stayed quite still as I took a few photos. 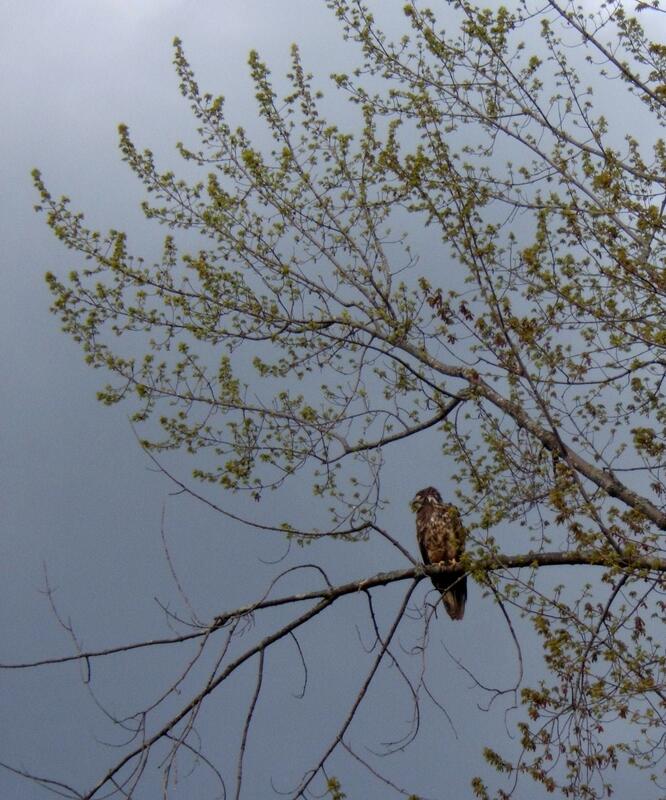 He was huge compared to the hawks and osprey we usually see in the trees along the raodway. His plumage was tawny and brown, and his talons were a beautiful orange. Occasionally, he would twist his head and his eye would gleam, reflecting the light of the setting sun.